I decided to be super lazy today. My work plans fell through, and it was really such a gorgeous day. 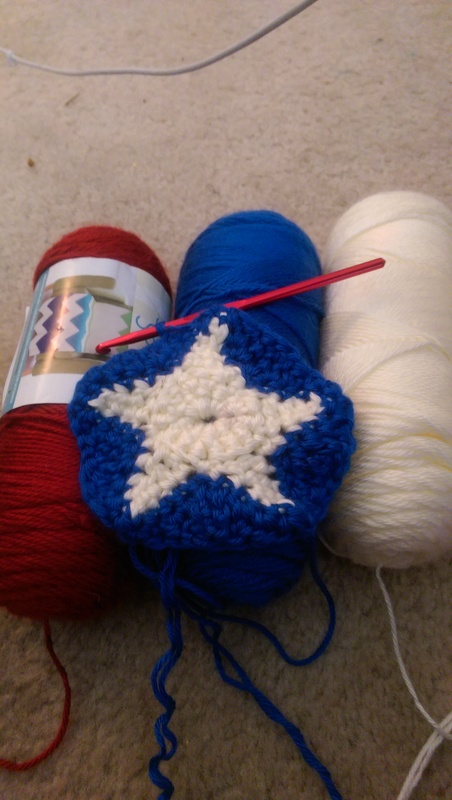 Plus, I am super behind on my promised crochet stuff. 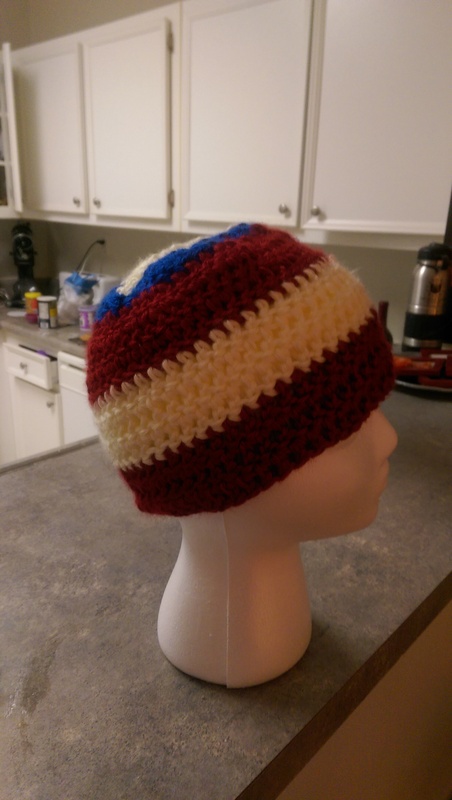 And, since I made a fall hat for myself, the least I could do was finish one that I had started for someone else. 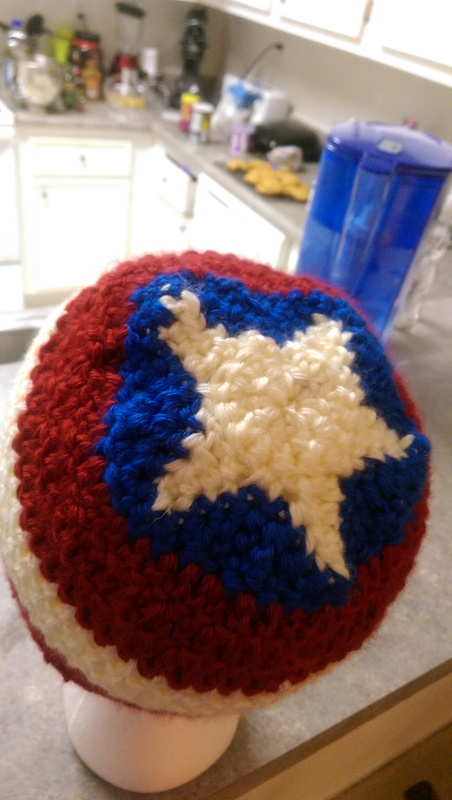 My co-worker/friend named his daughter after his favorite superhero, Captain America. 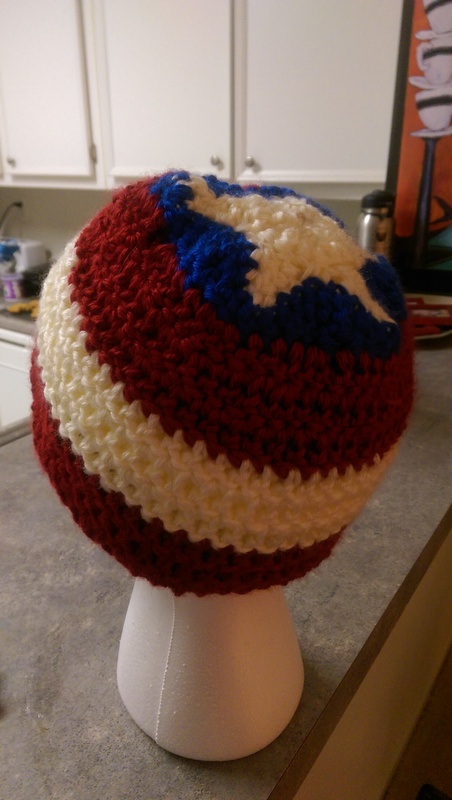 Around the time Avengers: Age of Ultron, I promised him that I’d make a hat for her. But hats are fun to make in the summer really (or at least I don’t find it fun). But I did secure a pattern back then. While I’m starting to build my own, for things like this, totally need to find someone who has tested out their patterns. I purchased my pattern from Level Up Nerd Apparel on Etsy. I have a couple of her patterns that’ll pop up over the next few months. One after Christmas; it’s a gift my baby brother. I love geek-chic/cosplay patterns. When my own life settles down, I’d love to build my own patterns. Anywho, this was my favorite thing to make to date, and also one of the hardest things. I officially have two separate stars outside the hat, and the blue portion of the hat took me 4 tries before it looked good. After getting the blue to look right and have the right number of stitches, the hat became super normal. 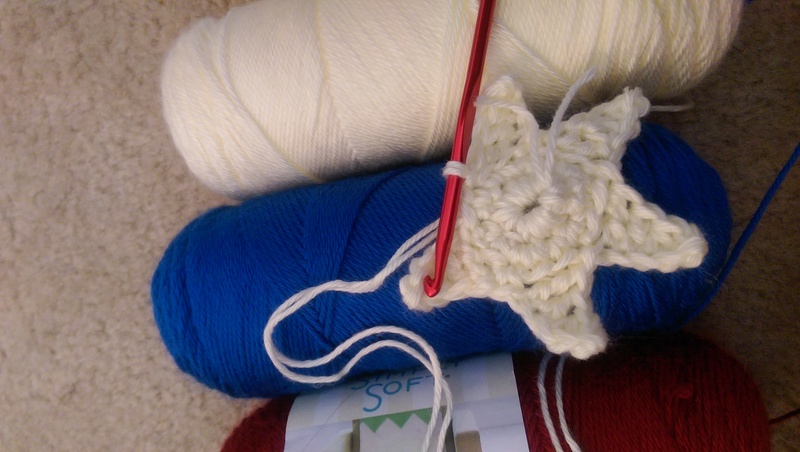 It’s a double yarn crochet, so it was thicker and a little harder to adjust to at first, as well as switching colors, but it led to a simple and calm afternoon. I’ve been trying to get through my ever-growing watch list on Netflix (I’m trying to not re-watch anything!) I settled into Joss Whedon’s Much Ado About Nothing, and Season 2 of Blacklist. Here’s my final product! It’s not actually bumpy, just had some issues with it on the foam head.